Click here for some great helpful notes on Chemistry basics - atoms, ions, electron arrangement.......and more...check it out !!! 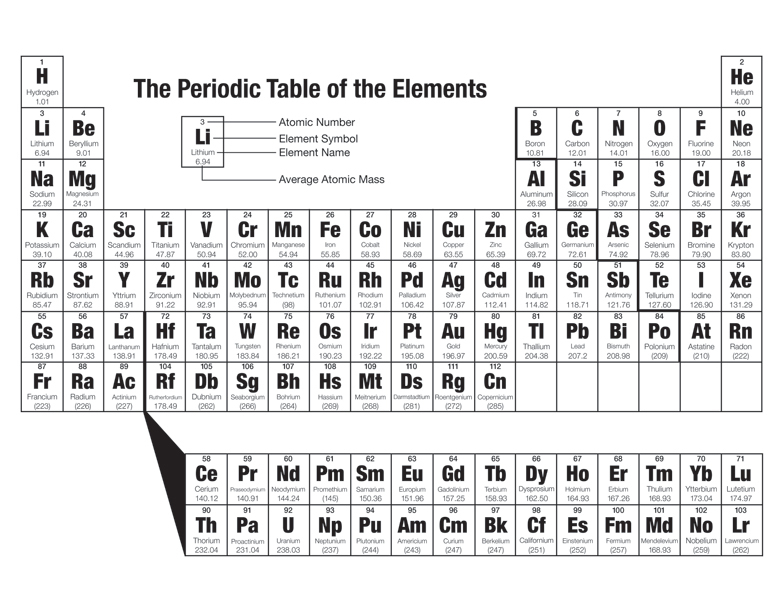 a table of the chemical elements arranged in order of atomic number, usually in rows, so that elements with similar atomic structure (and hence similar chemical properties) appear in vertical columns. NOTE - Isotopes are NO LONGER part of this standard so you can IGNORE these !!! pH is a measure of the hydrogen ion concentration in a solution. 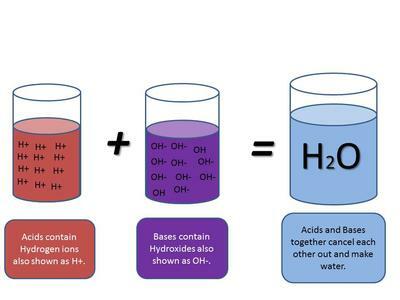 Acids and bases will neutralize each other when mixed. They produce water and an ionic salt, neither of which are acidic or basic ie: a NEUTRAL solution is produced. This is a scale for measuring how acidic or basic(alkaline) a solution is ! So is a measure of the Hydrogen Ion concentration in a solution. 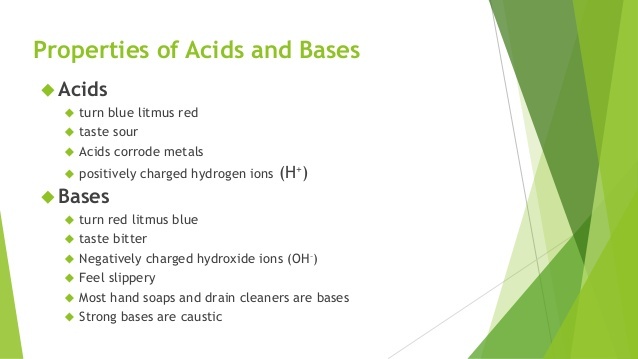 LEARN the first 3 of the common Acids and Bases above to achieve to your potential in the exams !!!!!!!!!! 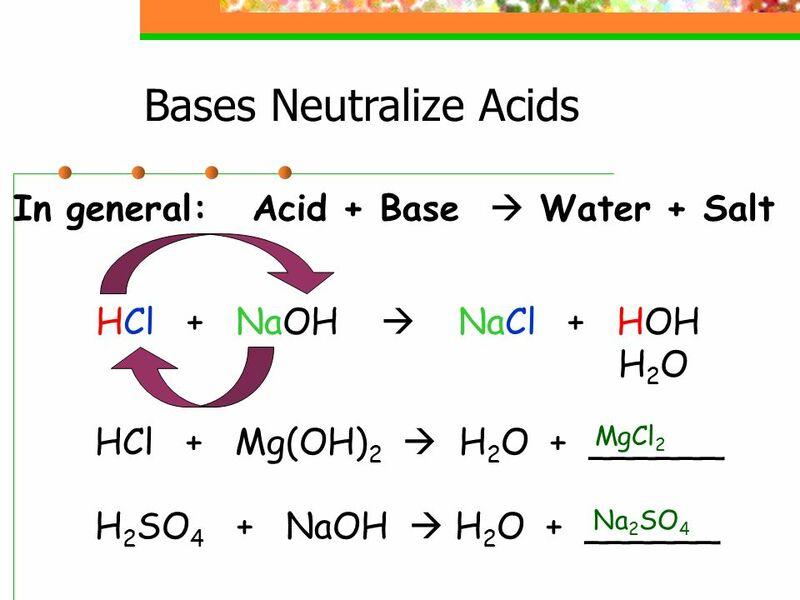 This is the reaction between an acid and a base - when they are in equal concentrations the base cancels out the effects of the acid (or vice versa) and the products are NEUTRAL. Because an alkali dissociates in solution ie: releases its OH - ions and an acid dissociates in solution and releases H+ ions these 2 dissociated ions combine/collide and react to form WATER ie: H2O a neutral product. The acid used determines the end name of the salt. 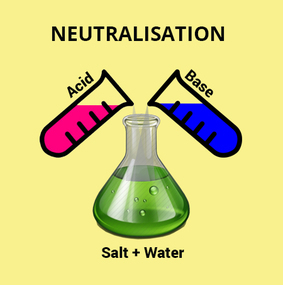 When an acid is neutralised by a base or vice versa WATER and a SALT are produced. The resulting salt can be proven by evaporating the resulting liquid off and so that "salt crystals" are produced/left over. Farmers use lime (calcium oxide) to neutralise acid soils. Your stomach contains hydrochloric acid, and too much of this causes indigestion. Antacid tablets contain bases such as magnesium hydroxide and magnesium carbonate to neutralise the extra acid. Bee stings are acidic. They can be neutralised using baking powder, which contains sodium hydrogen carbonate. 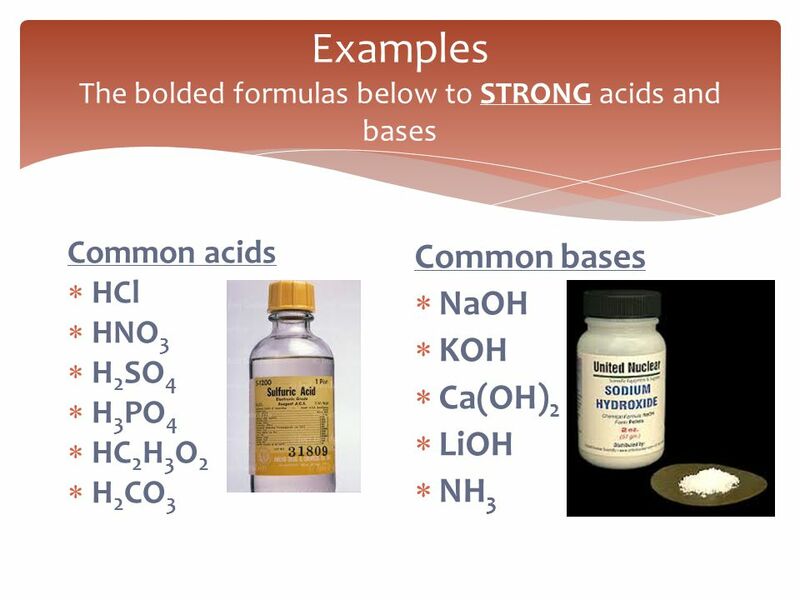 Click on the Button below for a great website on acids and bases !!! 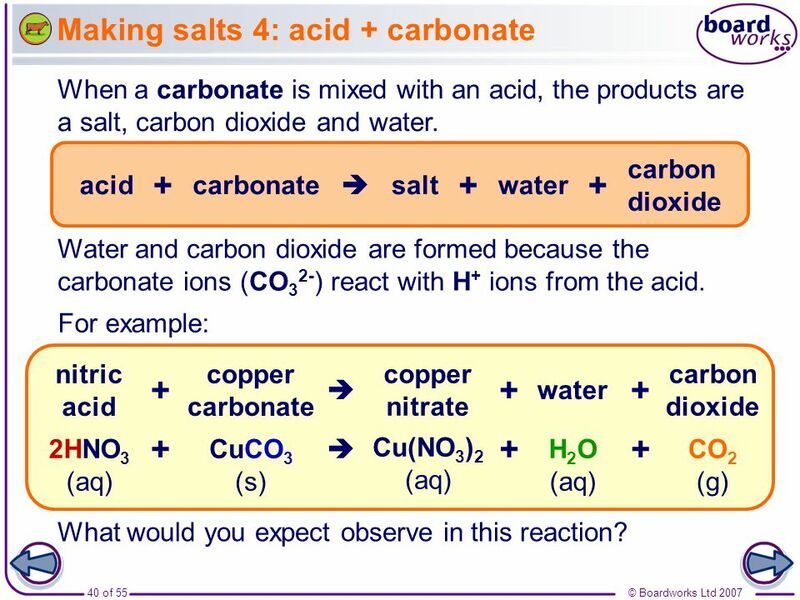 Whenever an acid and carbonate are reacted together Carbon Dioxide Gas is produced and can be observed by the Fizzing or bubbles produced in the reaction. 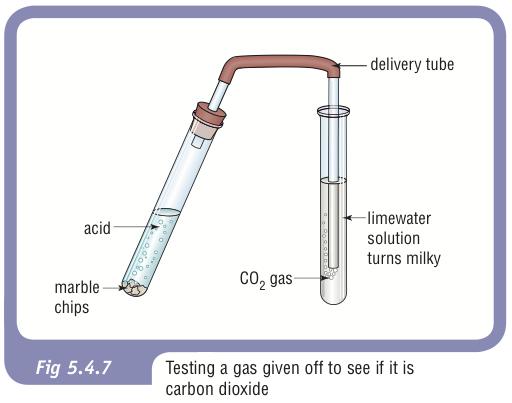 You need to be able to know how to test for CO2 !! !